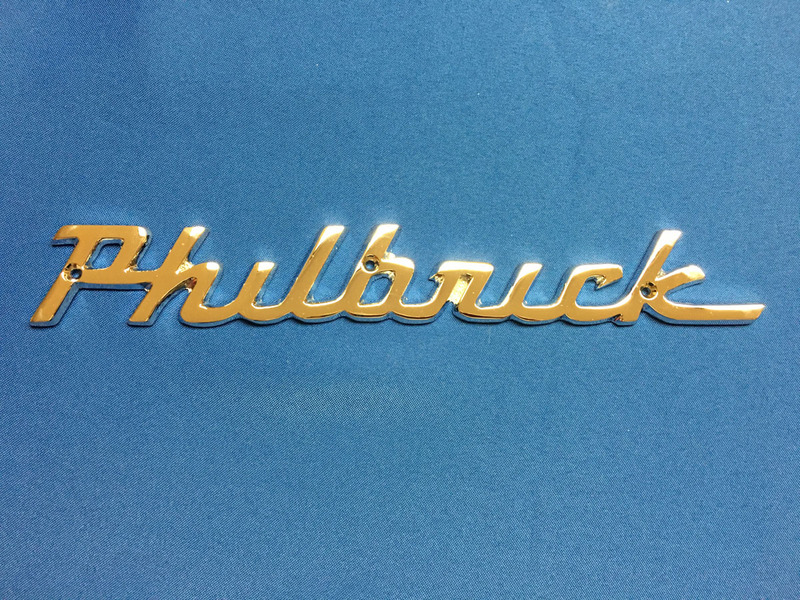 Manufactured locally of silicon bronze and then chrome plated, includes chrome screws. 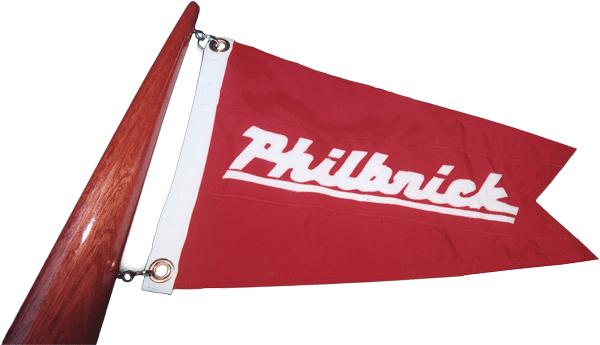 Original Philbrick Burgee availabe as one sided or two sided. 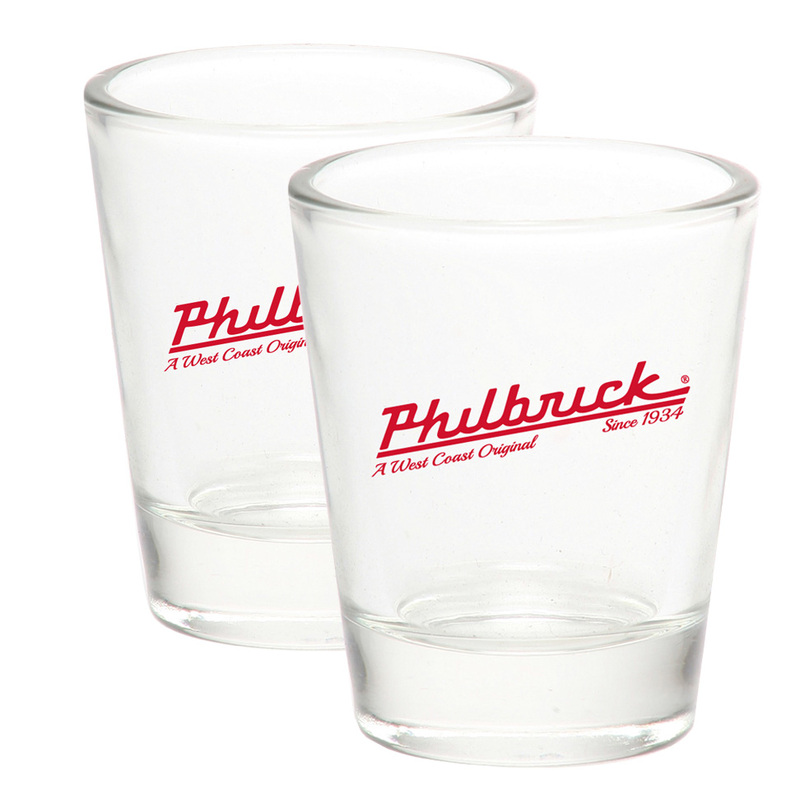 A pair of original Philbrick shotglasses.